The Sovereign Military Hospitaller Order of St. John of Jerusalem of Rhodes and of Malta had been active in Poland since the 12th century. 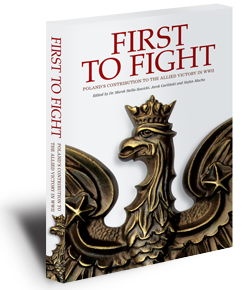 The development of the Order’s Polish chapters was disrupted by the Partitions of Poland in the late 18th century. 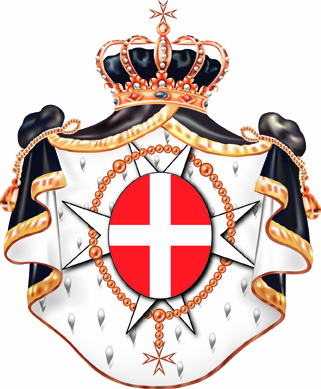 The Polish Association of the Order of the Knights of Malta was reconstituted in 1920 following the restoration of Polish statehood in 1918. During the inter-war period the Polish Association ran several charities and three hospitals in Poland. Already in 1928 guidelines were drawn up for the care of the sick and wounded in the event of war. With the threat of war looming in 1939 these arrangements were formalised in the summer of that year. 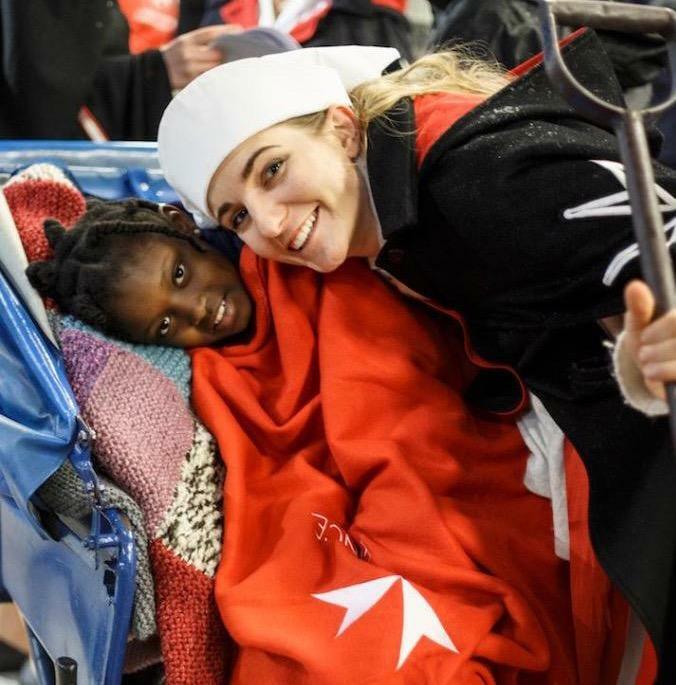 Under a separate agreement with the Polish Red Cross the medical section of the Association was to function as an autonomous unit of the Polish Red Cross. 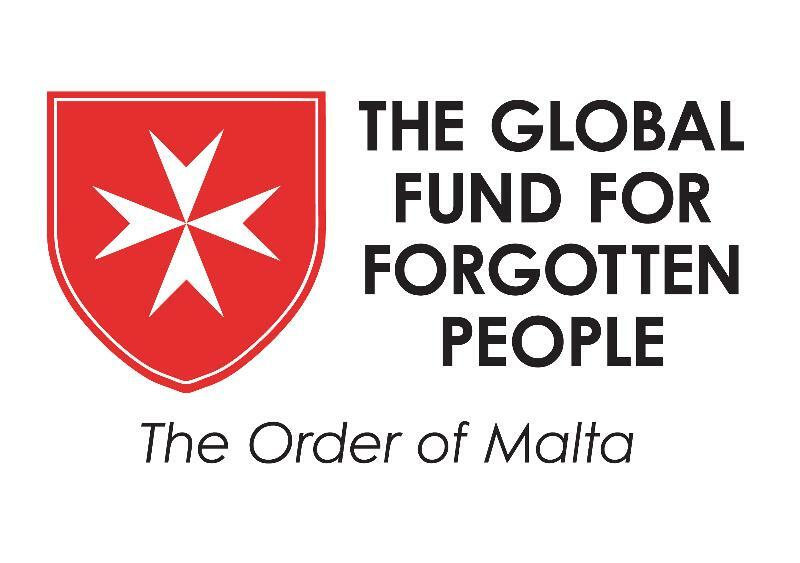 The Association’s hospitals and ambulance service thereby secured inviolability and protection under the terms of the Hague and Geneva Conventions, and were authorised to fly the flag of the Red Cross next to that of the Maltese Order. The Knights of Malta Hospital, Mniszech Palace, Warsaw.The outbreak of war on 1st September 1939 therefore found the Polish Knights of Malta ready to play their part in bringing help to the victims of the conflict. This chapter in their humanitarian work was to be extremely difficult and was to demand great courage. On 7th September the Association opened a 220-bed military hospital near Warsaw’s Old Town in a former aristocratic residence on Senatorska Street which housed a merchants’ guild (Resursa Kupiecka). 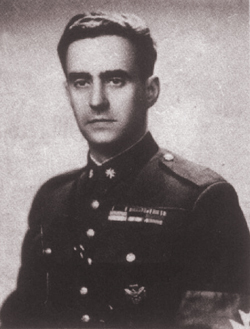 Stanisław Milewski-Lipkowski, a Knight of Malta, was to be the hospital’s director throughout the war; Professor Julian Szymański, a former Speaker of the Polish Senate, was the senior physician/surgeon; and Barbara Glińska was in charge of the nursing staff. As the Germans tightened their siege of the city, the work of the Maltese Hospital grew despite acute shortages of food, medicines, bandages and then of electricity. The hospital’s ambulances managed to collect many wounded from highly dangerous and seemingly inaccessible places. The courage and dedication of the staff rapidly earned the admiration of the city’s population. The Polish Knights also suffered casualties while performing their hospital duties: Roman Chłapowski and Dominik Łempicki were killed by German bombs, while the Association’s honorary chaplain, Professor Canon Alfred Dobiecki, was wounded. When Warsaw fell, the hospital’s staff were treated as prisoners-of-war, although they were granted freedom of movement. 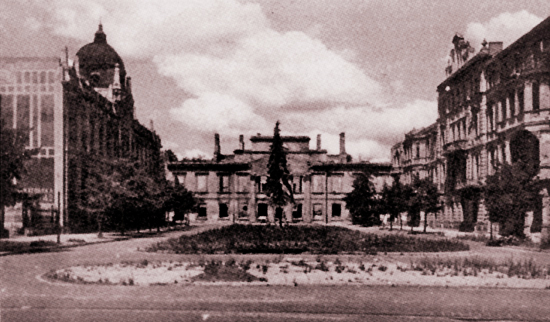 The hospital was initially placed under the jurisdiction of the German military medical authorities, and later under the civilian authorities running the city. A clinic established by the hospital in an adjacent building for poor needy Jews was closed by the Germans after two months. The Maltese Hospital continued to treat wounded soldiers sent to or returning from German POW camps, and in the spring of 1940 set up a convalescent home for officers in Milanówek, west of Warsaw. In May 1941 the hospital secured the right to treat casualties of aerial bombardment, which meant that it could remain permanently open. This provided the hospital with the perfect cover to become the main clandestine centre for treating and hiding wounded members of the underground Polish Home Army (AK) involved in sabotage and other operations against the Germans. It also trained nurses and other auxiliary personnel for the Home Army. Worthy of note is the role of the hospital staff in saving Polish children expelled by the Germans during their ‘ethnic cleansing’ operation in the region of Zamość. The commanders of the Home Army allocated an important role for the Maltese Hospital during the Warsaw Uprising which broke out on 1st August 1944, and the hospital additionally provided staff for four small field hospitals in the Old Town. During the first two weeks of fighting the hospital changed hands repeatedly, and treated the wounded of both sides. On 14th August it was finally taken by the Germans who ordered its immediate evacuation; it was then relocated to the building of the Public Credit Bank on Zgoda Street in that part of the centre of Warsaw which was still held by the insurgents. The heavy bombardment of central Warsaw on 4th September inflicted grave losses among the hospital’s patients and staff. The hospital had to be moved further south to a building on Śniadeckich Street which had previously served as a German military hospital. Following the capitulation of Warsaw on 3rd October, the Germans moved most of the remaining civilian population out of the devastated city. And so on 15th October the hospital was evacuated yet again, this time to a former factory building in the district of Piastów, west of the city centre, where it continued to serve the population until the arrival of Soviet-sponsored Polish forces on 17th January 1945. In the face of the new political realities the Home Army was formally dissolved by its commander two days later. The hospital’s director Stanislaw Milewski-Lipkowski was replaced by Dr. Jerzy Dreyza who had served as the hospital’s chief physician since 1940. The hospital itself was taken over by the Polish Red Cross. During its more than five-year-long existence the Maltese Hospital had treated over 15,000 patients. Still retaining its historic name, the Maltese Hospital was then moved out of Warsaw to the city of Częstochowa in south-central Poland. In September 1949 it was permanently closed down by the communist authorities; its assets and equipment were divided among local hospitals and other institutions. On 7th September 1979, on the fortieth anniversary of the creation of the Maltese Hospital, a commemorative plaque was placed in the Garrison Church on Długa Street in Warsaw, in the presence of Cardinal Stefan Wyszyński, the Primate of Poland, in honour of the hospital’s personnel and patients.